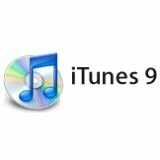 With the new iTunes 9 being made available from Apple, some have been asking how to install a copy onto Windows Home Server, enabling you to use the Home Sharing function to copy and share media over your LAN connection. With a little hacking and a follow of the following seven step guide, you should be good to go. Just for new people searching for this, iTunes 10 installs just fine under Windows Home Server. You can then use an app like iHomeServer to run ITunes as a service so that it starts automatically when your server starts. Works great with Home Sharing an AirPlay…. Just for new people searching for this, iTunes 10 installs just fine under Windows Home Server. You can then use an app like iHomeServer to run ITunes as a service so that it starts automatically when your server starts. Works great with Home Sharing an AirPlay….